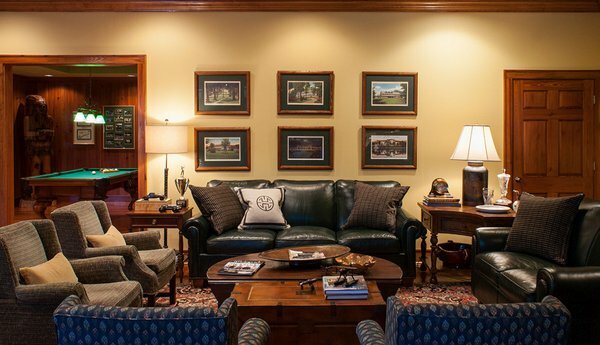 Using an accent chair or sofa in your living room may seem tricky, but when you check out photos of living rooms with an accent chair or sofa you realize how easy it actually is. The main trick designers or decorators use is get something distinctly different from the living room set you have and highlight it! It is usual that when you search the internet or see in the magazines accent seating – we see that cute little red chair! It’s pretty common, even the accent wall – it is usually in red. 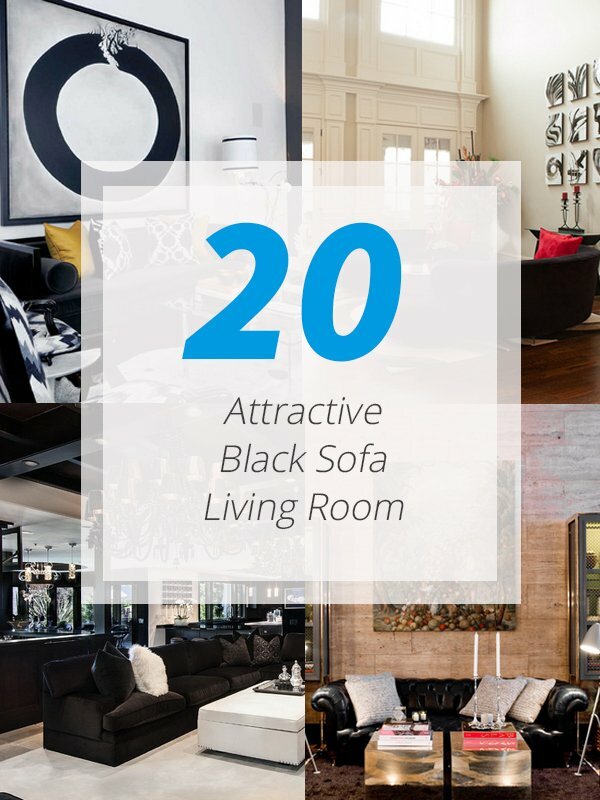 Today, what we will be showing you is a list of 20 Attractive Black Sofa Living Room. 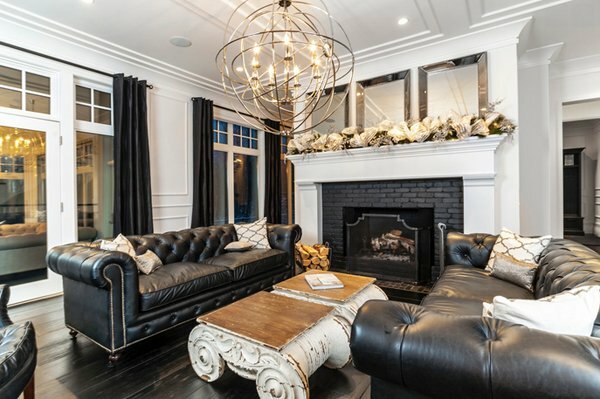 Check out the photos below and tell us about what you think about black as an accent seating or a regular living room set. The use of vintage sofas in this living room is pretty classy since it goes along well with the decorations in the room. 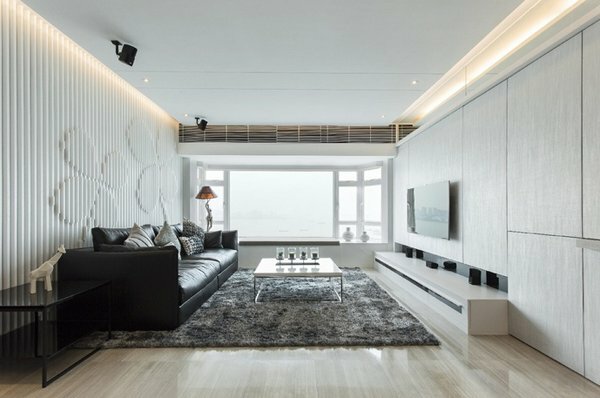 Light-colored living room is made masculine with the black leather sofa. Notice that the decorator used different chair styles. Pretty interesting painting that matches with the colors of the sofa and the throw pillows. 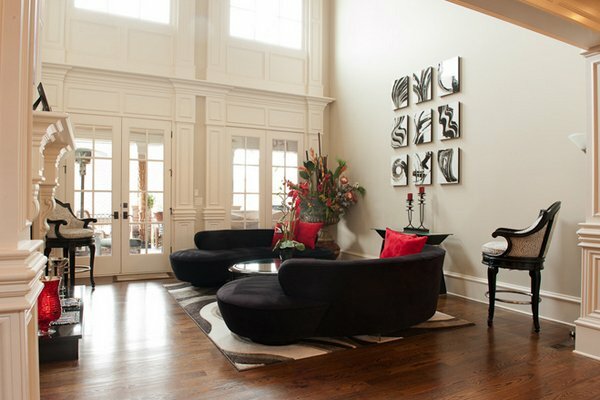 Note the contemporary coffee tables! I like how there is tons of seating in this tiny living room. Ideal for small gathering and get-together. 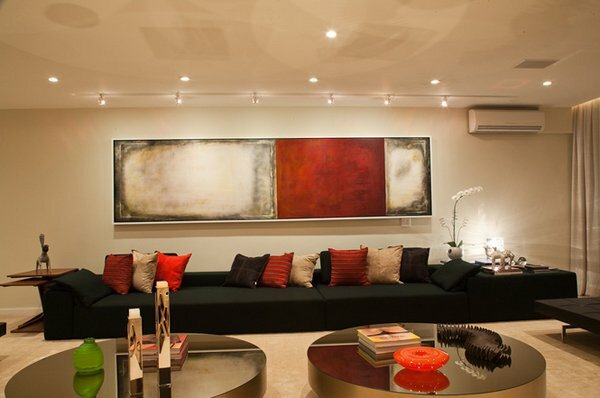 Architect Rina Doctor designed and decorated this awesome living space! 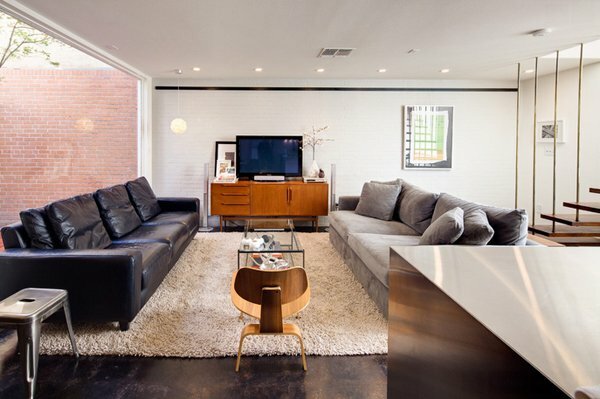 Cool combination of furniture and decor; minimal and classy. 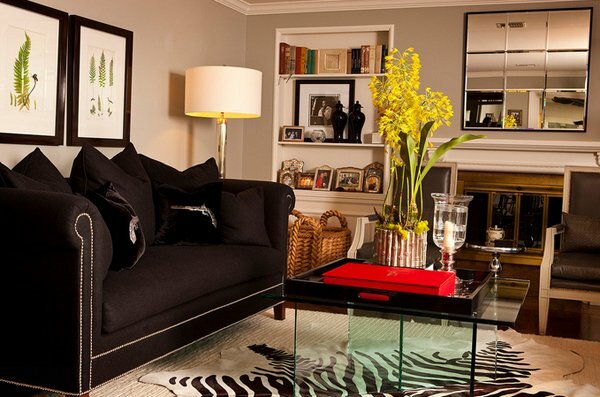 Grey seats paired with a black leather sofa accentuated with awesome pictured frames and a pretty carpet! Cute corner black seating in a neutral-colored living room. I like the pictures plastered on the wall in all its black and white beauty. 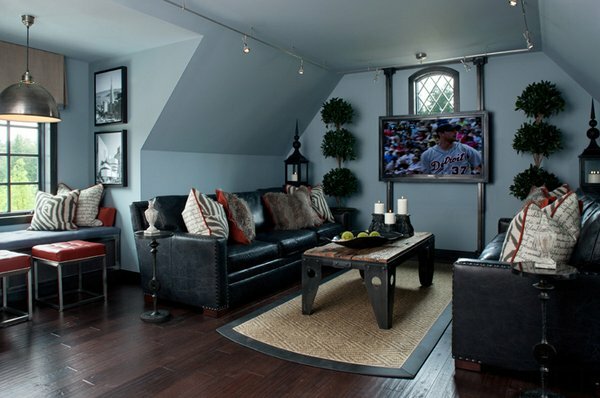 Black seating is common in masculine-themed homes and when the home owner prefer it for maintenance issues. It is pretty obvious that this space is made for a single guy because of all the lines and the decor used in it. 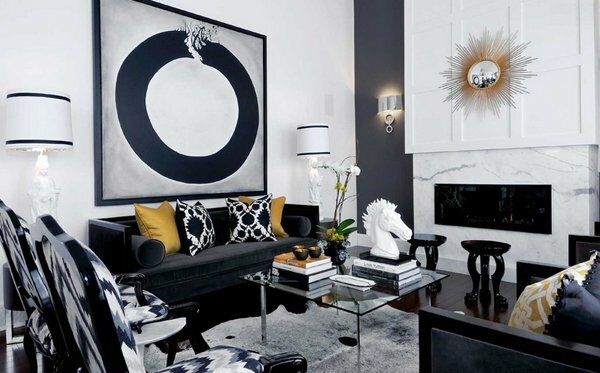 The overall look and feel of this black and white living room is pretty awesome! The dash of gold in the pillows makes the printed pillow pop too! I’m crazy about the drapes in this living space! It seems like it is keeping this entire space inside securely. 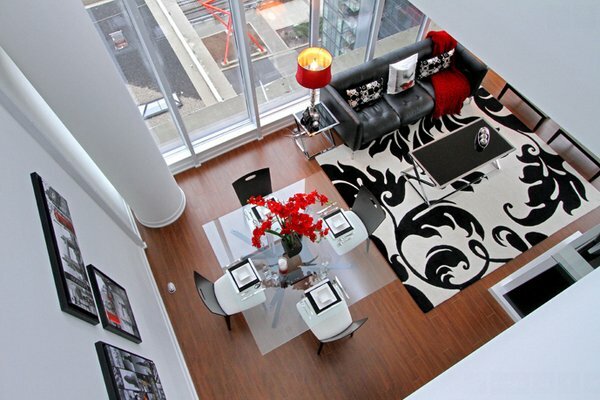 Notice how the black seating creates a manly aura but still keeps the sophistication of the space. Look at the beautiful sofa that seems so tiny; like the trinkets in this space too! 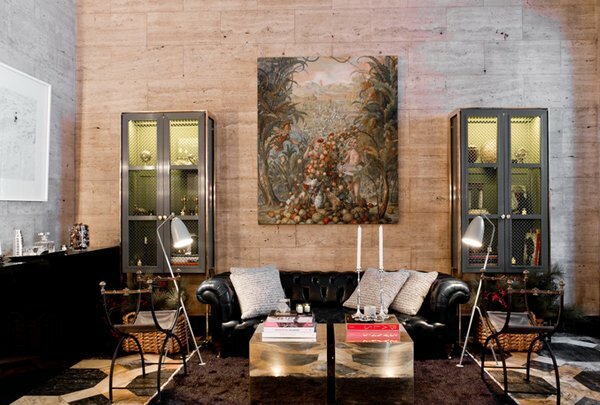 This is one pretty living room that sure looks like it is owned by one fashionable woman. The choice of furniture is rather bold but really brave! Dark, dim, black and white! This living room is a showcase of classic sophistication and glamour! Small living room space with minimal headroom – but notice the seating and the cool coffee table. 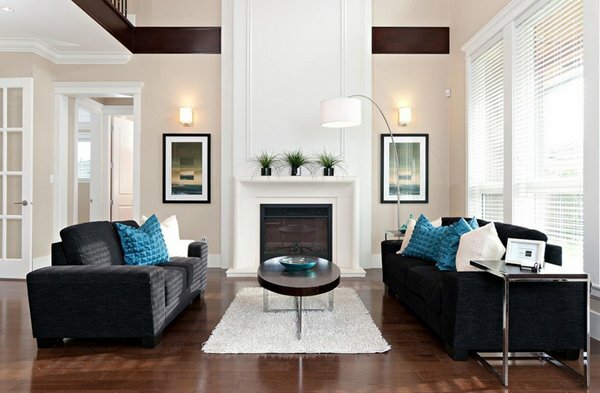 Black, white, blue and brown – pretty simple color combination which works and sure is awesome. 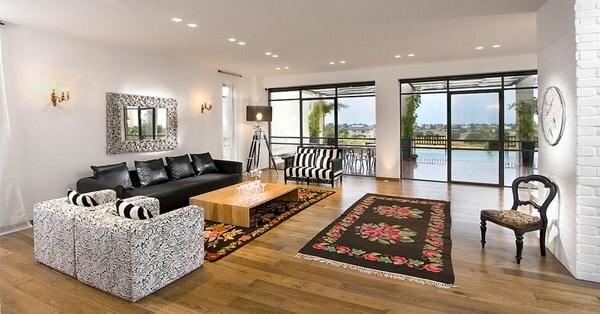 RT Designs | Roula Thalassinos Designs Inc.
Don’t you just love the angle of this picture where we see part of the living room with the black sofa and the cool glass square dining table and chairs and the awesome area carpet. This is a small living room with just one sofa directly facing the TV. Enough for a starting home or for a single person. Notice the wall though? This set up is created for the holidays and it sure looks it will be okay for the regular days! The vintage black sofa complements the wall color and the painting too! 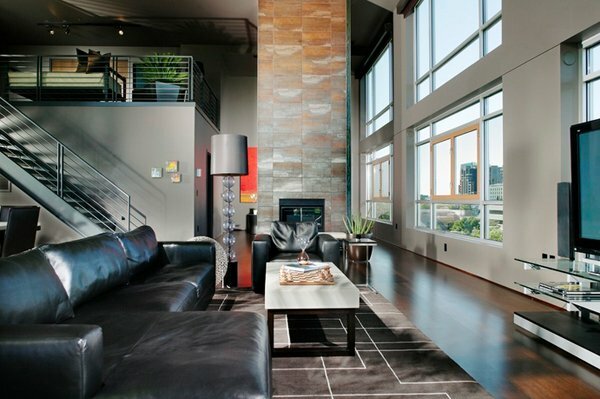 Notice the combination of the seating in this living room? Two sofas in black and white and cute grey chairs on the side. If you are into home improvements especially in the living room, check out the 20 Gorgeous Living Room Furniture Arrangements that we have collected and created for you a while back – this is pretty similar and close to the list we have today about the 20 Attractive Black Sofa Living Room! The set-up and the arrangement of the living rooms in both this lists are awesome, and that’s for sure!